a) The Board of Directors of SBAC Bank Limited in its Meeting no. 13 held on January 30, 2013 approved comprehensive "Green Banking Policy". b) The Management of the Bank formulated "Green Banking Policy Implementation Unit (GBPIU)" on May 15, 2014.
c) With a view to developing In-house Environment Management, the Management of the Bank developed "In-House Environment Management Guidelines" of SBAC Bank Limited along with other issues under Phase-I of the Green Banking Policy" which was approved by the Risk Management Committee of the Board. d) As per Environmental Risk Management (ERM) Guidelines of Bangladesh Bank, the Bank Management made mandatory for Environmental Risk Rating (EnvRR) while appraising the credit proposal vide Credit Division Circular No. 02/2O14 dated March 02, 2014. The "Environment Conservation Rules, 1997" was also circulated for better understanding. e) Steps are being taken to allocate sizable Budgetary Provision for Climate Risk Fund. f) Bank issued necessary circulars regarding Green Banking Activities/Initiatives to implement In-house Environmental Management by all of its offices. g) The Training Institute of the Bank is continuously arranging training program/workshop for the employees of the Bank on the Green Banking. h) Rigorous programs to educate client is under process. i) Regularly reporting the progress of implementation of Green Banking Activities to Bangladesh Bank on quarterly basis. j) Bank has a distinct link at our Corporate Website (www.sbacbank.com) for disclosing latest progress of its implementation on regular basis. k) All of its Branches including Head Office are operating fully under online banking systems. l) The Bank has taken initiatives for direct green finance. 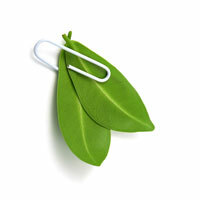 m) Steps are being taken to introduce green marketing.